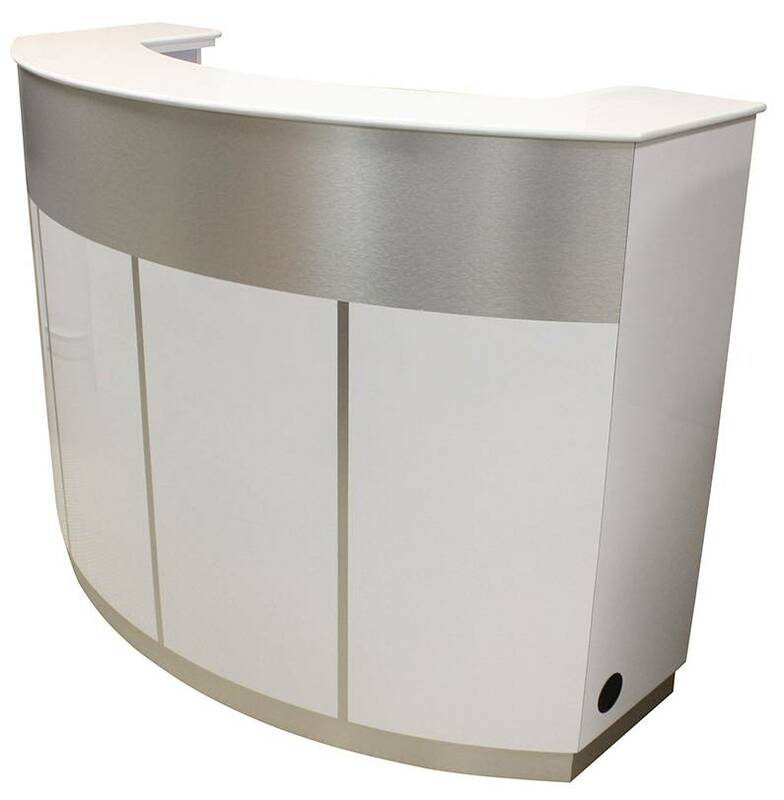 Reception desk with granite top featuring four drawers, two of which are lockable, and two large storage cabinets. 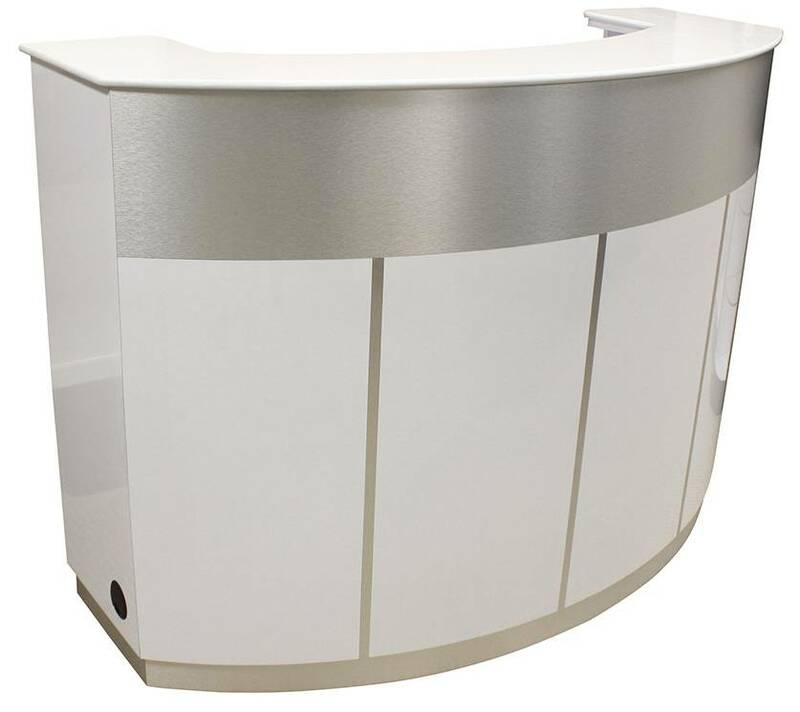 Greet your customers in style with this eye-catching reception desk. 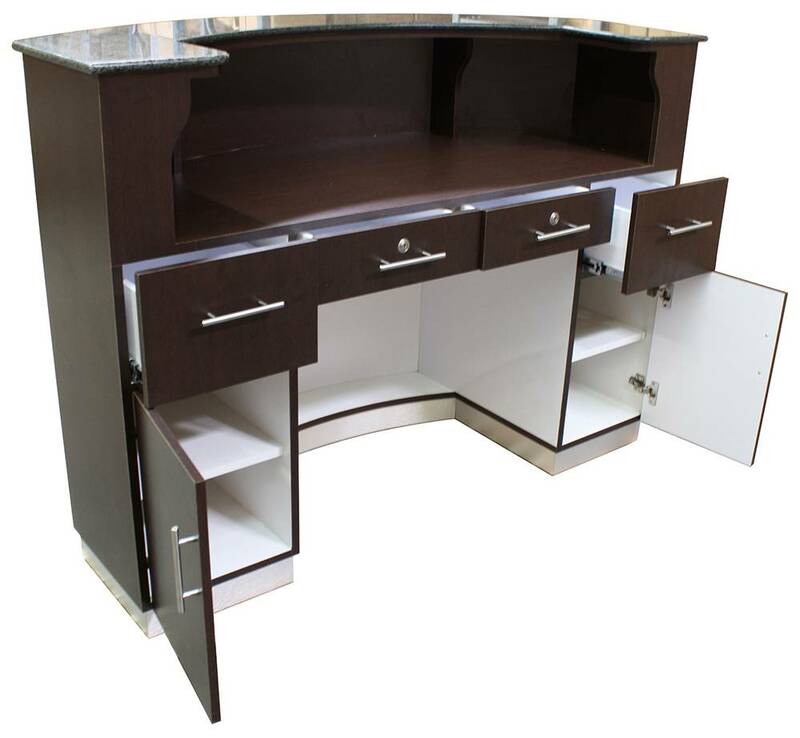 This beautiful desk includes four drawers, two of which are lockable, and two side cabinets with plenty of storage space. 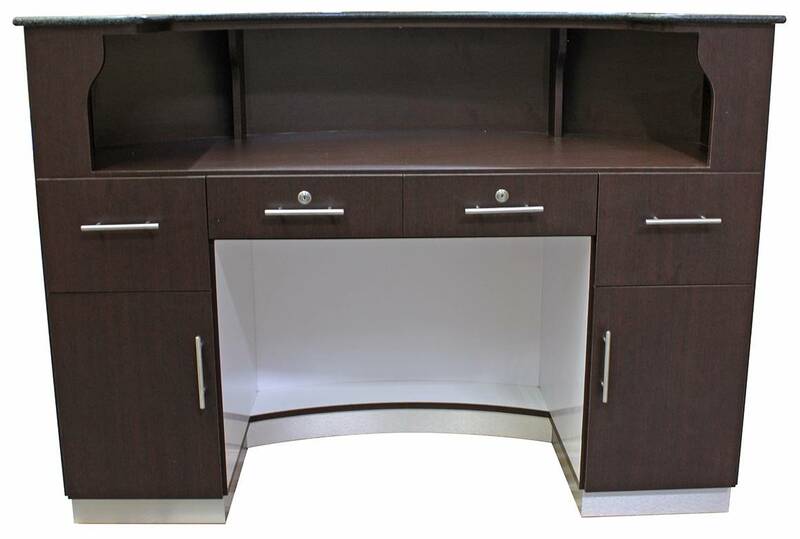 Available Color: Dark Wood, Black, White Glossy, each comes with silver trim and granite top. Please select your choice. 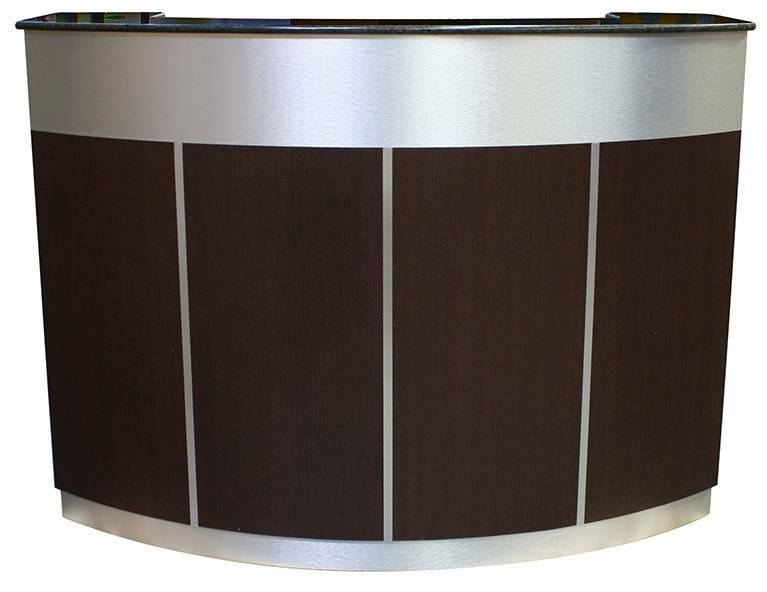 W: 57-1/4" x D: 26" x H: 42-1/4"
W: 57-1/4" x D: 10" x H: 42-1/4"
W: 57-1/2" x D: 23-7/8" x H: 30-1/2"
Please note: Granite is a stone with naturally occurring variations in color and pattern. 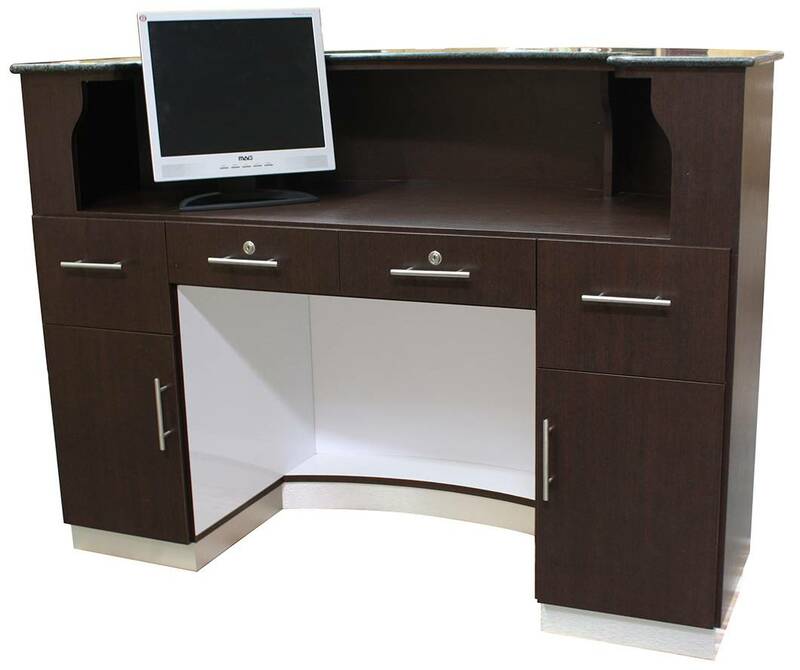 The variations in the stone are expected and are a source innate beauty. 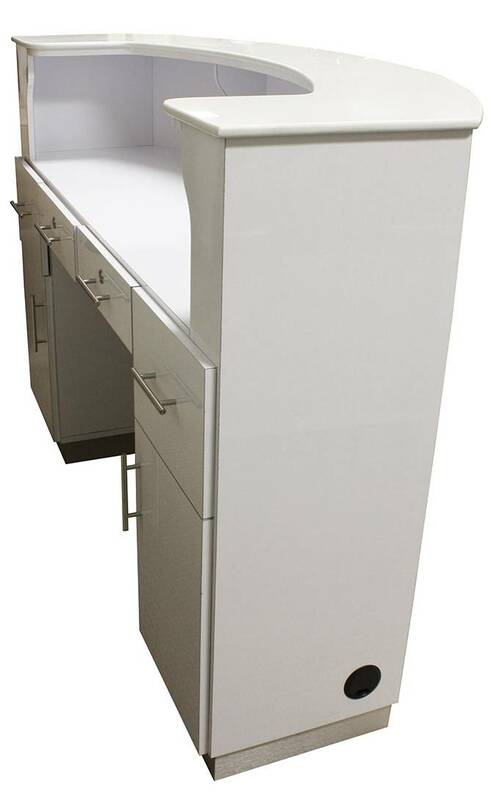 Indeed, even a single slab of granite will have color and pattern variations from one end to the other. 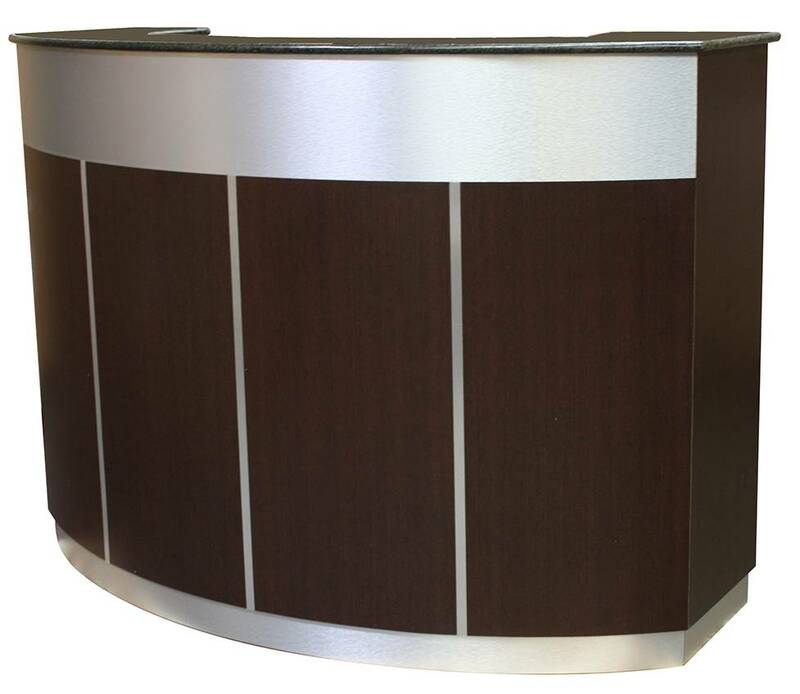 This lack of predictability lends unique character and adds a natural element to our furniture.